I was always afraid of making Crema Catalana for some reason. 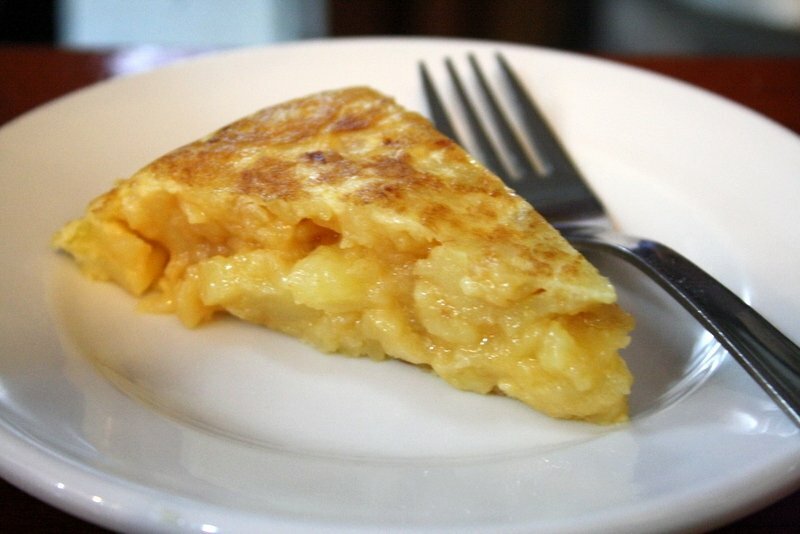 This quintessential Spanish dessert just seemed too complicated. But it turns out that making homemade Crema Catalana could not be easier. Apart from having to wait for the custard to chill, there’s nothing difficult about it! This Crema Catalana recipe is adapted from Claudia Roden’s The Food of Spain— one of my favorite Spanish cookbooks! Crema Catalana (for those unfamiliar) is Spain’s version of creme brûlée. 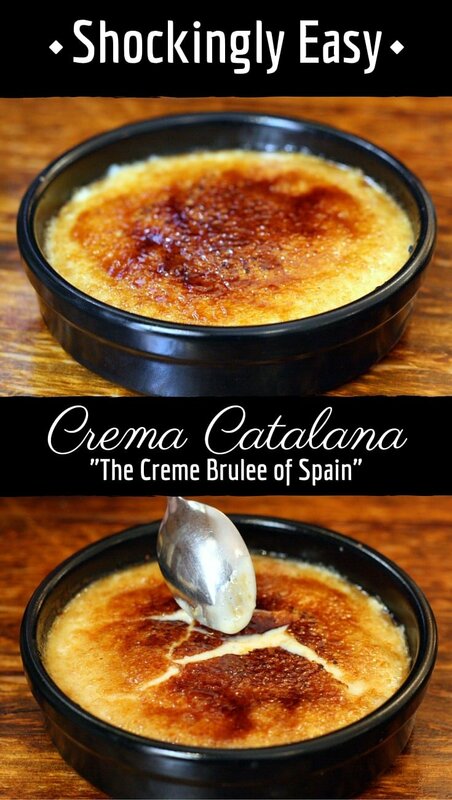 Or, as many Catalans would argue, creme brûlée is France’s version of Crema Catalana! 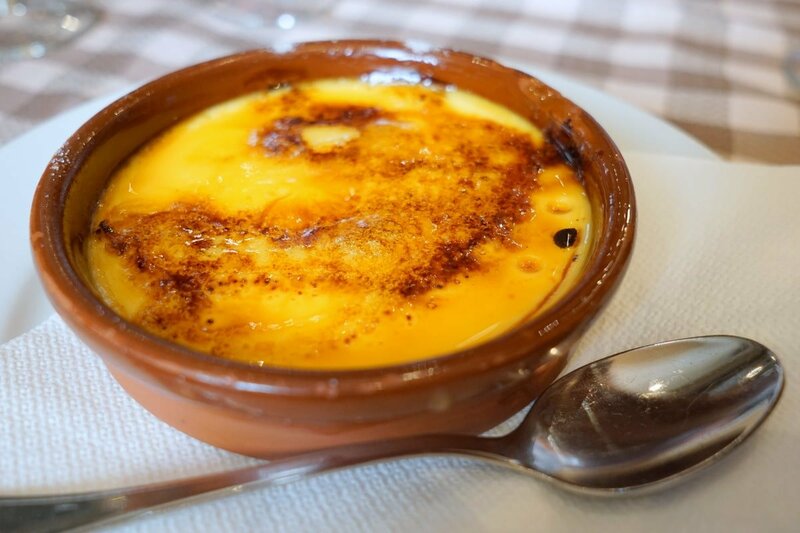 Despite which came first, they generally differ in that Crema Catalana is made with milk versus cream, and often incorporates lemon peel and cinnamon. 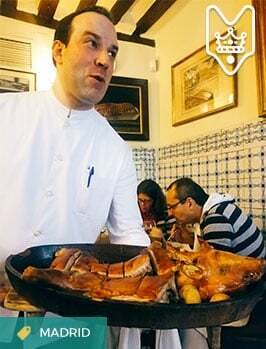 It’s also not made using a bain-marie (a water bath, or baño maría in Spanish), which means it’s arguably much easier to make than its French cousin. And, I guarantee you, it is to die for when made well! Love Spanish desserts? See my 7 top Spanish desserts here! Crema Catalana, one of Spain’s most classic desserts! A delicious homemade Crema Catalana recipe, topped with fresh fruit! Put the milk on the stove in a small saucepan, along with the citrus peels and the cinnamon stick. Slowly bring to a boil. Dissolve the cornstarch in a splash of water and set aside. While the milk is slowly heating, beat the egg yolks with the sugar, until the mixture turns pale yellow. Beat in the dissolved cornstarch and a spoonful of the hot milk. Remove the citrus peels and cinnamon stick from the hot milk, and lower the heat. Slowly add the egg yolk mixture to the milk, making sure to keep stirring so that the eggs don't scramble! Stir constantly over a low heat, until the mixture has thickened. Remove from the heat and pour the mixture into traditional clay dishes or ramekins. Allow the custard to cool, and then cover in plastic wrap and chill the crema catalanas for about four hours (preferably overnight). 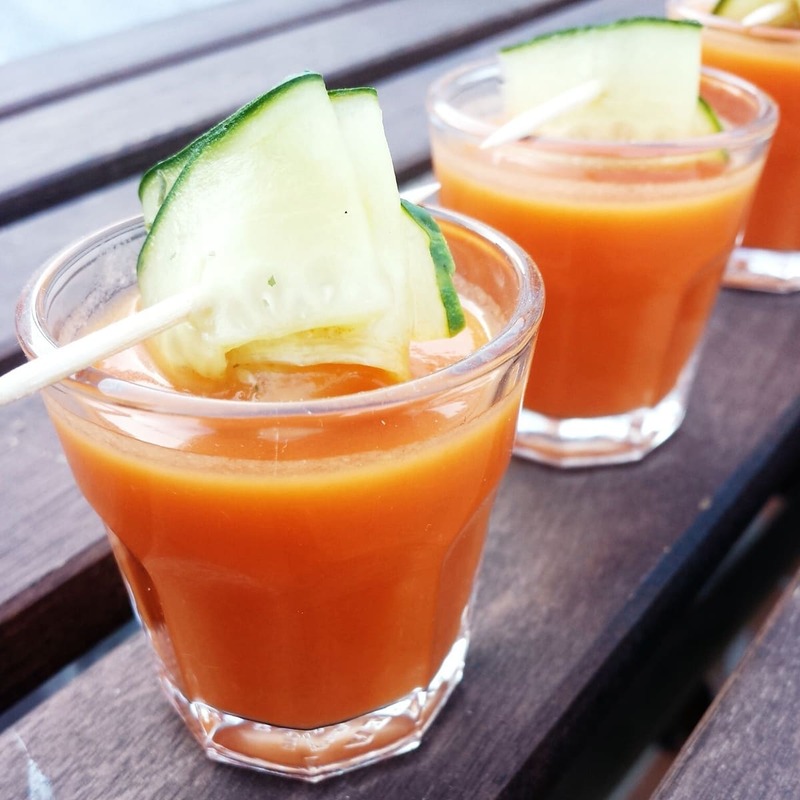 Before serving, I like to let mine come to room temperature (unless it's summer-- that would be too hot!). Then sprinkle a thin layer of sugar on top of each ramekin. Spread the sugar out by tilting the ramekins in all directions. Caramelize with a small kitchen blowtorch (though the truly authentic crema catalanas are made with a hot iron (see photo below). Top with fresh fruit (optional) and enjoy! That wasn’t so hard now, was it? If you try this Crema Catalana recipe, let me know what you think! 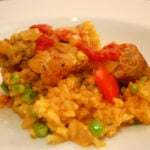 Excellent, simple recipe with very tasty results! 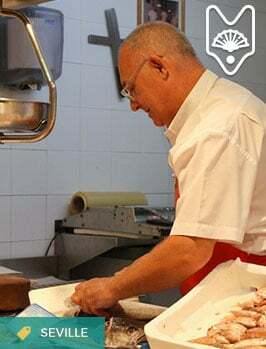 It really took me back to my study abroad days in Barcelona where I remember patiently waiting for the mixture to thicken under my host mom’s watchful eye… Thank you! Such a great recipe, couldn’t you tell me how long it keeps for in the Fridge? Sure– since it’s a custard it’s quite perishable, about two days I’d say to be safe! Hi – how many servings does this make? Depends on the serving dish! About 6-8 in a standard clay dish. When do you add the cornstarch mixture? Step 5. It is combined with the sugar and eggs. 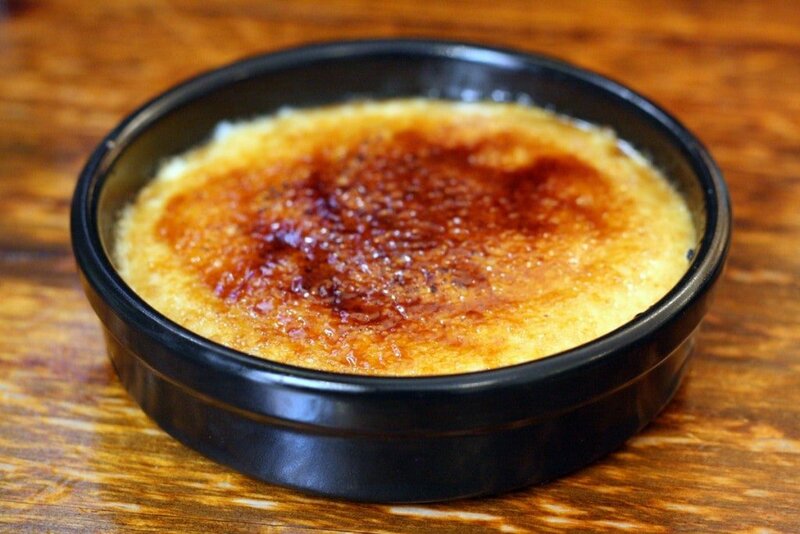 Crime Brûlée is a version of an older English dessert first served in Cambridge in 1879. Just had a look on Wikipedia. First mention of Creme Brûlée 1691 first English mention of Burnt Cream 1702. What size dish should i use? Hi um is there ant other method to caramalize the top other than using a blow torch or a hot iron? I don’t believe there is! I’ve made creme brûlée and carmelized the sugar under the broiler. Just keep a close eye on it! How do I “burn” the sugar with an iron?? With a regular iron, for clothes?? This is a special type of iron that they use here that’s heated on the grill and then used for the desserts. But I’d recommend a simple small blowtorch you can buy at any cooking store. You can place them under the broiler in your oven. I never leave comments on recipes but I have to say this is life changing. I always find that my creme brulee never sets no matter how long I bake it and let it refrigerate. This method is so much easier and it was delicious with the orange peel and cinnamon (I forgot the lemon peel!) im never going to make creme bruelee again! So… you don’t bake this in the oven at all? It will firm up in the fridge and not be runny? I’m faced with the need to prepare this for about 100 people. I don’t have a budget for ramekins….but could rustle up pyrex brownie/lasagne pans. I think I could caramelize in pyrex (gotta check!) but certainly can’t put them under broiler. Do you think having the large surface area would inhibit setting up? I’d try it with the single recipe to get an idea of the depth, then factor in the number of pans I’d need. Oh, dear, why not something easier like lemon bars! Oh my – that’s a lot of crema catalana! Thing is, I’ve never seen this made in anything but individual portions. I am not sure if the center of a large sheet pan would cook enough in the water bath– or if it would overcook and become a flan? What about buying the cheap aluminum baking cups (disposible). I think those might work! Good luck. I have to make a desser from Spain and I came across this dessert. I am going to try it for Saturday but where can I purchase the clay dishes? I have to make 15 to 20 servings. You can substitute normal ramekins from any kitchen store! Hi, is corn starch the same as corn flour? Want to make this on Friday for dinner guests. I made this last week in a half quantity with 300ml milk , 3 egg yolks and 1 tbs cornstarch, but unfortunately it did not set well and was too runny. I must say I’ve had this problem before with crema catalana! If you look on the net, all the recipes vary with the amount of cornstarch they use. So I’m trying it again today with 15g cornstarch (about 3tbs). I’ve just poured it into the cazuelas and it looks nice and thick (I’ve probably overdone it this time!). Hi Lance – thanks for the comment! It does vary a lot– as do the size of the egg yolks, their water content, etc. I’m glad you’ve found a solution for now. I hope it comes out well! Thanks Lauren. I’ve now settled on 20g cornstarch and 43g sugar for 300ml milk and 3 medium egg yolks and it is perfect! I’m also adding 1/8th tspn orange flower water to the milk, which gives a nice flavour. BTW I made my own salamander from a 100mm disc of 6mm mild steel and a tubular metal handle and heat it on the gas stove for 10 mins. It gives the proper crunchy caramelised sugar disc on top – far superior to the blow torch or grill! Yes – the video is a slightly easier version! Both should work though – perhaps you didn’t allow the custard to thicken enough? Lauren, I came across your page by chance when searching for a completely diffent thing (thanks Google! ). 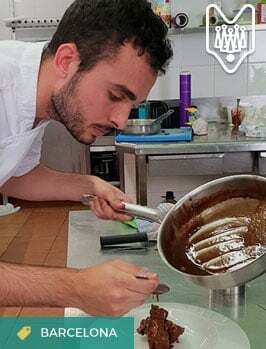 I am catalan and I am glad to share my Crema Catalana family’s recipe with you (forgive my english). It’s a very easy one and uses rice starch instead of corn starch wich, in my opinion, gives the cream a substantially lighter feeling in the mouth . Use a little of milk to dissolve the starch and make sure there’s no lumps left. Put the rest of the milk, the sugar and the egg yolks in the cooking pot you are going to use and use the mixer to blend the ingredients together. Add the milk with the starch and mix again. Add the lemon peel and the vanilla sticks and put the pot on the stove to simmer. Stir continously (to avoid lumps never stop stirring!) with a wooden spoon untill you hear the first “pop” that indicates the boiling point. Remove from the stove immediatly and continue stirring for one minute more. Remove the lemon peel and vanilla sticks and pour into individual clay pots. 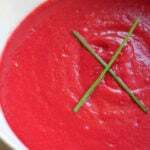 Let it cool and once tempered cover the pots with lids or aluminium foil and keep in the fridge for, at least 6-8 hours. We burn the sugar on demand when serving the “crema” using and electric iron burner. Most members of my family prefer the cream without the burnt sugar!